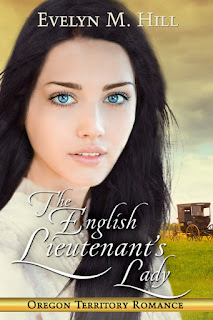 The Story behind The English Lieutenant's Lady by Evelyn M. Hill and #Giveaway!! While researching Oregon history for my debut release, His Forgotten Fiancée, I ran across a reference on a local county website that triggered my upcoming novel. British spies… in Oregon! In 1845, Britain and America were both thinking of going to war. Both countries wanted to claim the Oregon Territory as their own. The British Colonial Office sent a couple of Army lieutenants into the Oregon Territory as spies. They posed as tourists, but their real mission was to put together a report on how much effort would be required to defend the territory against the Americans, if it came to war. They even drew up a plan to occupy the only large settlement in the area, Oregon City. I researched further, and found records of the supplies that the lieutenants ordered from the local trading post at Fort Vancouver. These were items that the men were charging to their account as part of the mission. Their orders were to pass as gentlemen of leisure. To keep up the illusion, they dressed up as dandies. But some of the items on their list of supplies don’t fit with this image. One of spies, Lieutenant Vavasour, bought hair ribbons, lace, yards of silk, and even a pair of ladies shoes. 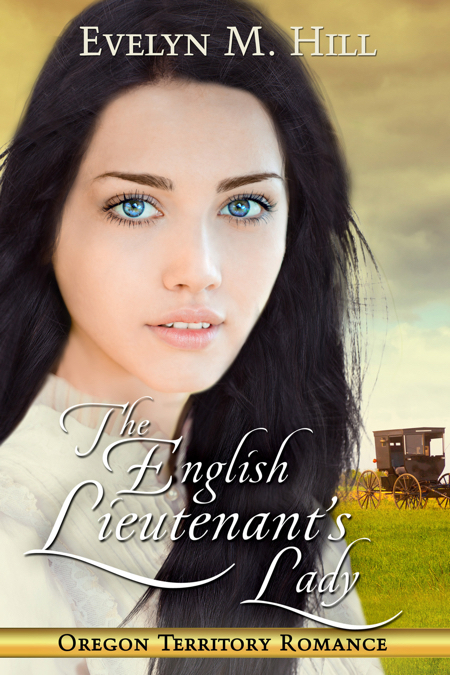 That's how I came up with the idea for my next book, The English Lieutenant's Lady. The story of Geoff, an Army lieutenant who swore an oath not to reveal his identity, and Lia, a young woman struggling to survive on her own in the Oregon Territory. To survive, Geoff and Lia both need to pretend to be someone they're not. The last thing either of them wants is to fall in love. And as the threat of war grows stronger, choosing to stay together could cost them everything they have. According to family tradition, Evelyn M. Hill is descended from a long line of Texas horse thieves. (But when your family is not only Texan, but Irish, tall tales come with the territory.) This might explain why she devoted much of her childhood to writing stories about horses. Once she grew up, the stories naturally featured a tall, handsome cowboy as well. She lives at the end of the Oregon Trail, where she gets to do all her historical research in person. Evelyn is giving away an autographed copy of His Forgotten Fiancee to one commenter, USA only. Please include contact information. My thoughts: I'm going to be honest here, which, of course, is what you're supposed to be with reviews. 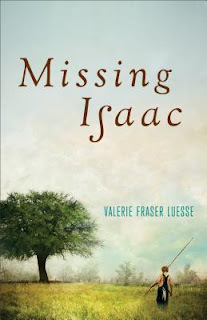 MISSING ISAAC is not a book I would've ever picked up to read. In fact, I was dismayed when it showed up in my mailbox because it is not a book I wanted to read. This book is a historical - to me, although I am not sure it would be considered one by the industry professionals, simply because it is set before my time. It starts with the mandatory historical book death, but moves on to an unlikely friendship between a young eleven year old boy and thirty year old man, and a mixing of black and white. Which in the sixties was pretty much a very touchy subject. Never the twain shall meet, type thing. Okay, so while I wouldn't have picked this book up on my own, I did start reading it, and wow, I can see why the publisher bought it. This is a topic that established authors would shy away from, and yet this brave debut author beat the odds with a book that some would consider a "hard-sell." And because it is so awesomely written, even if the editor didn't like the topic (and I don't know if he or she did or not) they, if they are anything like me, was hooked. Sold. Yep, I would've bought this if I was the publisher. Young Pete is such a sweetheart, and so innocent. Isaac is stoic I guess is the word. He's used to others not liking him, treating him like so much trash because he's black, but Pete just doesn't get it. He sees Isaac as his daddy's best friend. A man to emulate, a man of honor. And despite Isaac's lack of formal education, he was a learned man thanks to his mama getting hands on books for him to read. I loved Isaac. And Pete. And what Pete and his grand-daddy does at the end of the book is just so dog-gone sweet. 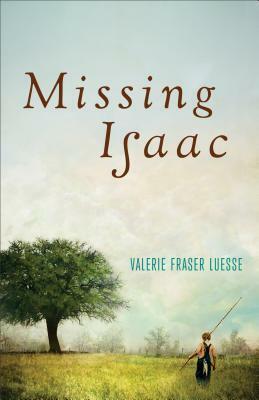 Even if MISSING ISAAC is not a book you'd pick up, pick it up. These characters are so real they just walk right off the page and into your heart. And they are destined to stay there long after you close the pages of this book. 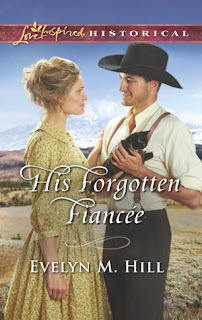 Interview with Katie Clark and #Giveaway! 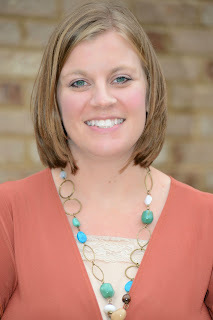 Today we welcome Katie Clark to my blog. Katie is very graciously giving away winner's choice of one of her previous books. Please leave a comment to enter. Katie, glad to have you stop by. ~Hi Laura, thanks so much for having me! I’m thrilled to be here. ~My book is a YA romantic fantasy—light on the fantasy. 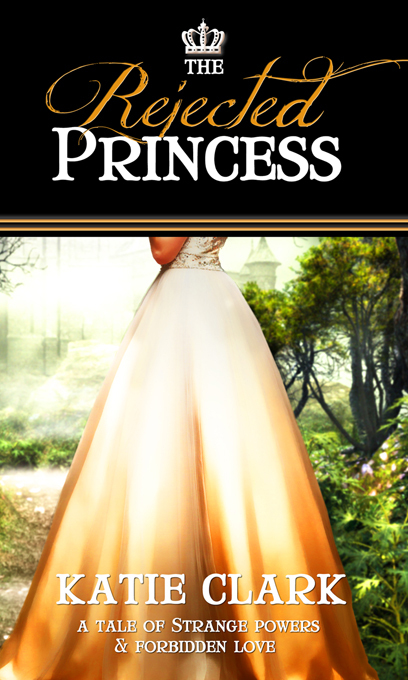 It’s about a princess, her arranged marriage, and her true love. Here’s the blurb! 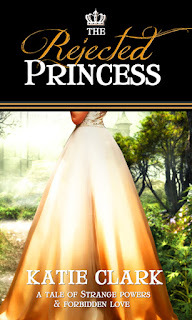 ~When Princess Roanna Hamilton’s parents arrange a marriage with a prince of Dawson’s Edge—the mysterious and backwards kingdom to the south—Roanna reluctantly agrees, accepting that peace must be put ahead of her lifelong relationship with Prince Benjamin of Lox. ~I grew up in a few places! I was born in Pennsylvania, spent my first couple years in North Carolina, my childhood years in St. Louis, and my teen years in Alabama. I attended a private Christian school in both St. Louis and Alabama. And nope, no other authors. I’m all by my lonesome on this one. ~I have been writing stories for as long as I can remember, so I’m not sure what got me started. But I loved going to the library with my grandpa as a child, and I loved reading Choose Your Own Adventure books. ~We met at church as teens, and no I wouldn’t say love at first sight 😊. We were just kids! But I don’t know what he thinks of me being an author. It’s just the way it always was, you know? ~Because I write sci-fi and fantasy, I mostly get to use my imagination. Little research required 😊. ~My favorite book always happens to be the one I’m working on. I don’t necessarily have a favorite character, but I have lots of book boyfriends. Haha! KATIE CLARK started reading fantastical stories in grade school and her love for books never died. Today she reads in all genres; her only requirement is an awesome story! 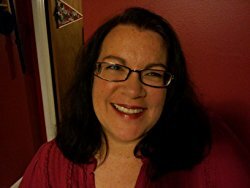 She writes inspirational romance for adults as well as young adult speculative fiction, including her YA supernatural novel, Shadowed Eden, and The Enslaved Series. You can connect with her at her website, on Facebook, or on Twitter. A deadline-driven workaholic assistant school principal who meticulously plans his schedule months in advance meets an easygoing art teacher and studio potter with no sense of time, living her life as the seasons come and go. When they cross paths again at the Summer by the Sea Day Camp sponsored by his church in Nassau, Bahamas, how can they get along if they cannot see eye to eye? From USA Today bestselling author Jan Thompson comes SMILE FOR ME, book 1 in the Vacation Sweethearts collection of wholesome, sweet and inspirational Christian romance novels set in some of Jan’s favorite vacation places around the world. A spin-off of Jan’s Savannah Sweethearts series, these Vacation Sweethearts novels begin with SMILE FOR ME, Byron and Tina and their summer romance in the Bahamas. My thoughts: I thought to pick out a nice short novella to fill in this day, since I'm under a tight deadline and no time to read a long book. Lo and behold, this ain't no novella! It is seriously long! I did skim this book a lot as it was more telling than showing and there was a lot of author intrusion, but there was a fun, innocent, humorous twist to this story that kept me interested and wondering what would go wrong or happen next. Tina is a flighty heroine, colorful, flamboyant, in your face clueless, and oh so clumsy. Brian is straightlaced, a rule-follower, ten minutes early or he's late, and oh so chained to a planner. Tina drives him nuts. Bryon drives her nuts. Is there any hope at all for this couple? I liked how Bryon has to mentally adjust his thoughts and thinking about Tina, determined to think positively about her since she is volunteering as a missionary. And how Tina tried to work with Bryon's schedule instead of deliberately antagonizing him. A good read. I would read more by this author. I like the humor. 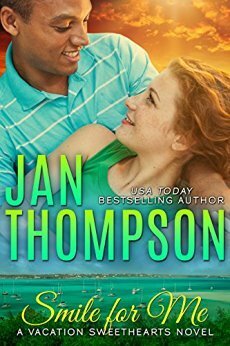 The Vacation Sweethearts novels are a spin-off of Jan Thompson’s Savannah Sweethearts series. Savannah Sweethearts is a collection of clean and wholesome, sweet and inspirational contemporary Christian romances set on the beaches of Tybee Island and in the city of Savannah, Georgia. A sister series to Savannah Sweethearts, Seaside Chapel chronicles the lives of Seaside Chapel churchgoers on the beach town of St. Simon’s Island, Georgia. 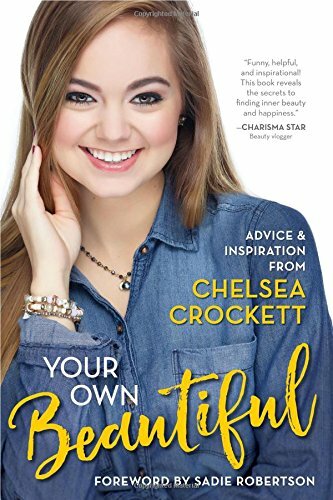 Inspired by Chelsea Crockett’s popular YouTube channel, Your Own Beautiful is a life, faith, and beauty guide, filled with her trademark tips on makeup and style alongside full-color photos, how-tos, and more to help young women with all the big issues they face—from self-confidence and friendship to following your dreams. With her signature grace and wit, Chelsea tackles tough questions through uplifting messages influenced by her faith and life experiences in Your Own Beautiful. My thoughts: (reviewed by Jenna) YOUR OWN BEAUTIFUL is a really good book, and I'm happy to know there is such a thing as a Christian vlogger on the internet. I didn't know such a thing existed. I don't watch Chelsea because she is a beauty vlogger and I don't wear makeup (yet) but she sounds very interesting. I really really like how she shares her Christian testimony with her videos. YOUR OWN BEAUTIFUL has pictures and beauty tips that not only includes makeup but also clothes, hair, and the all important inner and spiritual beauty. I highly recommend this book and am keeping it for future use. 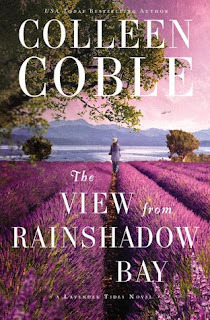 My thoughts: I love Colleen Coble's books - she's a must read author for me. THE VIEW FROM RAINSHADOW BAY is a wonderful example of why. Zach is an ex-Coastguardsman, a hotdogger and he works flying into Alaska and back with medical patients. Shauna is trying to recover from losing her husband -- a tragedy she blames Zach for because Zach is into extreme sports. I loved how sweet Shauna is and how she was willing (with reservations) to allow Zach to try to protect her and Alex, and I also loved Zach. He's a doll. 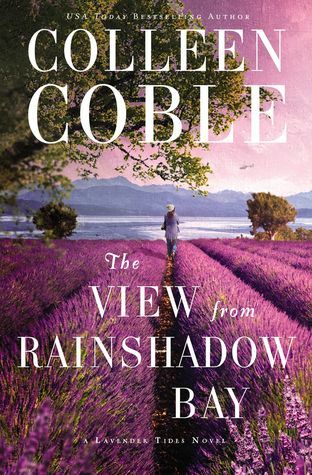 Ms. Coble writes real characters, with real emotions that I easily can identify with, and draws me into her stories, hook, line, and sinker. I had a hard time putting the book down to attend to my own jobs. There isn't much of a faith message, but the suspense is top-notch. I know how suspense works, and from the beginning tried to figure out who-dun-it. I didn't have it figured out until it was revealed, but my suspicions was running in the right direction. A great book. If you love romantic suspense, you will love THE VIEW FROM RAINSHADOW BAY. Drawing on his extensive research on the prophetic, visions, and dreams, Recie differentiates between dreams and visions, provides creative ideas for encouraging kids’ faith, explains lucid dreaming, and lists the most common images and symbols that come through dreams. Throughout this approachable book is Recie’s tender, fatherly passion that the kingdom of heaven belongs to the “little children.” Includes a Dream Dictionary and a Dream Journal. 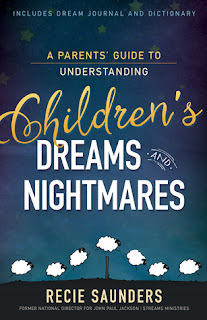 My thoughts: A PARENTS' GUIDE TO UNDERSTANDING CHILDREN'S DREAMS AND NIGHTMARES is probably a life-savior for a parent whose child suffers from nightmares. Filled with scripture and the author's understanding of dreams and their meanings, he gives helpful information to differentiate between dreams and visions, how to increase your child's faith, and explains the most common images and symbols that come through dreams (as stated above in the description). 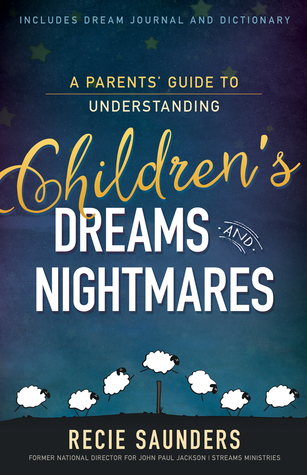 If you are interested in dreams, visions, and nightmares and want to help your child this would be a helpful book. Includes a journal, footnotes (for more information if you care to look it up) and a dream dictionary that explains whether a dream (vision or nightmare) is from God or demon forces based on topic and colors. Interesting reading and a friendly tone ensures you won't get bored with this book. I was given a copy free. All opinions my own. 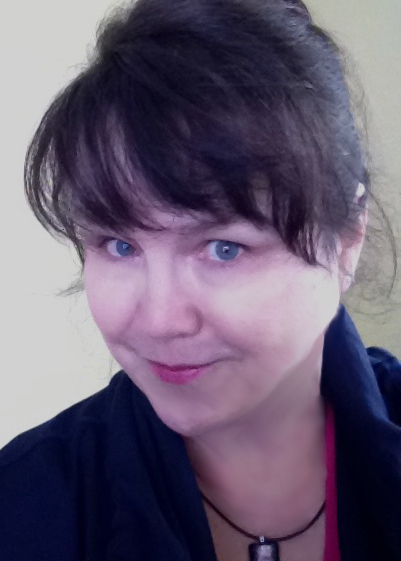 Interview with Sherri Stone and #Giveaway!!! Grace Tucker’s father took a dark secret to his grave. Now the grandfather she's never met reaches out to her for help. He'll tell her the secret - if she promises to help him make things right. 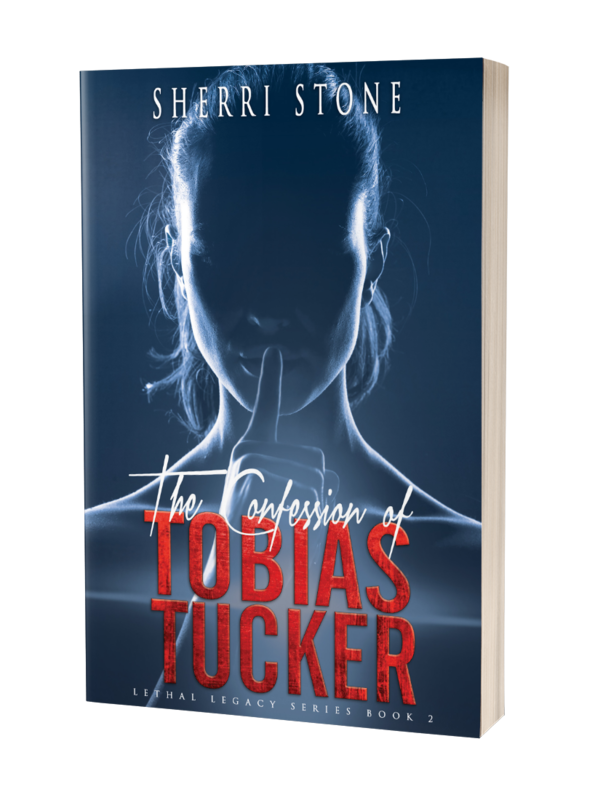 It's a temptation she can't refuse, but before the sun sets on her first day there, heart-stopping revelations and murder turn her visit into a nightmare. Everyone, including the Sheriff, thinks she's after her grandfather's money. Worse, she doesn't know the secret, but someone out there isn't taking any chances. They're determined to bury the secret once and for all, and Grace along with it. With her life and sanity on the line, the wise, old saying comes back to haunt her with a twist: be careful what you wish for, it just might get you. I’m a preacher’s kid, so I grew up in three different places in south Florida: Cape Coral, Pompano Beach, and Sarasota. There are no other writers in my family, however, when I first told my parents I was writing a book, my mom told be she’d always wanted to do that. After 57 years of being a preacher’s wife, I think she could write some very encouraging words for the next generation. She is a very active 80 years old, so I’m going to keep encouraging her to do it. The first time I saw my husband he was walking down the hallway in my office building. It wasn’t love at first sight, but I think something in me knew… We were friends for a while, and by the time we officially started to date, I think we both knew this was it. We just celebrated 19 years last October, and it just keeps getting better, and better. He is my biggest fan and supporter, not just for writing, but in life. God knew exactly who I needed. Our only child is furry and four-legged, and more spoiled than any human child I would ever put up with! :P He’s quirky and weird and we love him. He’s the second dog we’ve had, and we were only dog-free for the first two years of our marriage. It’s about time to send him to college, I think. I haven’t done much research for my first two books, but in the next series I’m planning I’ll be writing about some professions that are not familiar to me. I’ve started researching on line, but I’d also like to get a first-hand experience with some of them. In February, I’m going to visit a tattoo shop. Should be fun, as long as they don’t come at me with a needle. I plan to leave as pale and plain as I go in! My first book, Sacred Ashes, will always be special because it’s the one I cut my teeth on, and worked so hard for. I wrote it before I knew anything about writing fiction, or critique groups, or head-hopping (which apparently I excelled at!). I had so much work to do to make it ready to publish, but I love how it turned out. Dani is a preacher’s kid so I relate to her well. In Tobias Tucker, I admire, and even envy, Grace’s pluck and grit. I think I’d like to be like her when I grow up. Sherri has been a social worker for twenty-five years in the fields of mental health, hospice, and now home health. She and her husband, Jeff, are working on their house, a never-ending project, and busy being the keepers of a very naughty terrier named Riley. They live in the panhandle of Florida which is not nearly as warm as it should be at the moment. Looking forward to spring!! True wealth comes from God. To put it simply, money is a tool to be used wisely and can often be a blessing to you. However, use it unwisely and it can cause a vast amount of fear and anxiety. Sometimes, God blesses our finances and other times we experience a lack of resources--but no matter the financial condition, God is always faithful and always with us. 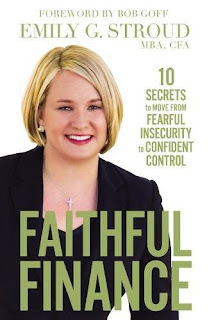 In Faithful Finance, Emily Stroud, a financial advisor for over seventeen years, breaks down everything you need to know about your finances, providing simplified information, practical tips, biblical revelation, and wisdom about how to handle your money so you can have more of it. Learn how to handle your money so you can have more of it. My thoughts: FAITHFUL FINANCE has a friendly, across the table conversation type tone, but it doesn't really cover any new territory if you've read any books by Mary Hunt or Dave Ramsey on the topic of money. Good information for those who don't have a handle on how to manage money and would be ideal for those starting out -- young adults on their own, young couple starting out, or those who have run into financial trouble and are trying to dig themselves out. A good book full of basic information, but all wise advice. She teaches you how to budget, pay off debt, develop a savings plan, and more. I recommend FAITHFUL FINANCE as a good guide for those who want to learn how to budget, save, pay off debt, and more.